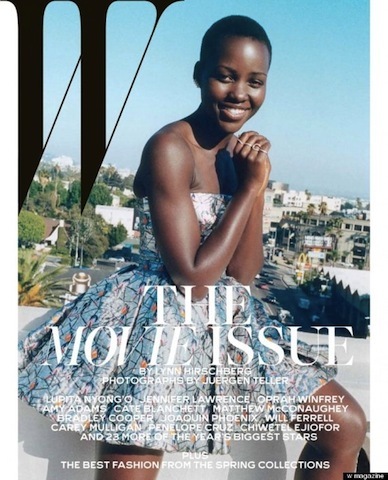 W Magazine has unleashed its coveted Movie issue and the list is beyond impressive. You can expect names like Cate Blanchett, Amy Adams, Matthew McConaughey, Oprah Winfrey and Jennifer Lawrence to filter through the pages. There are six covers total, but to be honest we are obsessed with anything that showcases the luminous beauty of this year’s most cherished discovery. Nyong’o looks incredibly beautiful basking in the light emanating from the energetic lenses that capture the true essence of this emerging star. Now that award season has officially popped, we can’t wait to continue our stalking tactics!